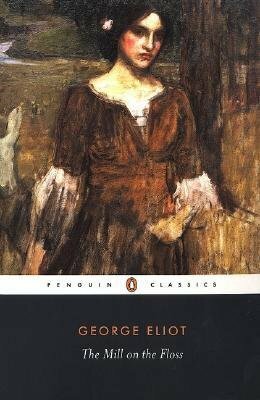 I have always had the impression that George Eliot’s writing was distinctly cold and subdued, choosing to critique society and explore social hierarchies rather than write romances with happy endings. My only experiences with Eliot’s writing are her rather odd fiction, Silas Marner and The Lifted Veil, both which meanders from what she is known for. But The Mill on the Floss begs to differ – it is so intense and so utterly romantic, thankfully not in a cringe-worthy way, that this must be one of the most emotional and moving books I’ve ever read. The relationship between Mr Tulliver and Maggie is one of the highlights of the story. The tenderness and love that shines through is unmistakable and never fails to grasp my heart. Aside from her father, Maggie adores and idolises her older brother, Tom, with whom she shared a close and affectionate relationship while they were both children. As Tom reaches adolescence, he develops strong ideas about justice and what is right and wrong. His strong ideas of morals, where there is no room for shades of grey, will play a part in the later division between Tom and Maggie. When the siblings are in their mid-teens, Mr. Tulliver loses one of his many court cases and is consequently bankrupted and loses the mill. This shakes up the family significantly and life changes forever for Tom and Maggie. Tom finds solace in his work, proving himself to have a head for business, while Maggie finds newfound faith in the bible and religion. As a result, Maggie becomes calmer and subdued, her passionate and fiery nature now in check. As the two siblings grow up, they also grow further apart with their different temperaments now more distinct than ever and also suffering from hardship. Maggie grows into a beautiful young woman who, while still subdued, finds her passionate nature threatening to boil over the mask she has created. She finds herself attached to two impossible and unsuitable men. The first, Philip Wakem, a wealthy but deformed childhood friend whose lawyer father was also the force behind the Tulliver’s bankruptcy and the second, Stephen Guest who is informally engaged to Maggie’s sweet and gentle cousin. Torn between her love and attraction to these men and her desire to do right by Tom, Maggie finds herself in an impossible situation because it is both Philip and Stephen who are able to provide the one thing Maggie craves more than anything and which is something Tom never gives freely – love. I absolutely loved this book and it is now one of my utmost favourite books. The story has left me reeling and the ending devastated me. I’m still a little angry about it. While the story was beautiful throughout, there was always a sense of foreboding that something terrible was going to happen. I loved Maggie and Mr. Tulliver who had the the most beautiful father-daughter relationship I’ve ever read. I didn’t quite get the same sense between Maggie and Tom. Maggie is a character that is difficult to forget and I feel desperately sorry for her, always an outsider despite whatever she did. Have some tissues nearby when you read this. I love The Mill on the Floss, and Maggie is one of my favourite characters in all of literature. Oh, I love that quote too. Their relationship is so endearing along with the exploration of sibling relationships. I love how Mr Tulliver encourages Tom to be good to Maggie, as Mr Tulliver was always good to his own sister. I’m still upset about the ending but I suppose it is a little better than the one I had expected. Can you believe I’ve read nothing by George Eliot? Are you sure you still want to blog with me?! I’m heartened to hear that you loved this book, though, because it seems like a good place to start. We must cut our ties, Bellezza, and go our separate ways from now on. 🙂 I’ve heard many good things about The Mill and I’m so glad I finally read it. I highly recommend you start with this book rather than the two Eliots I had began with. They just put me slightly off Eliot just that little bit more. What glowing praise. 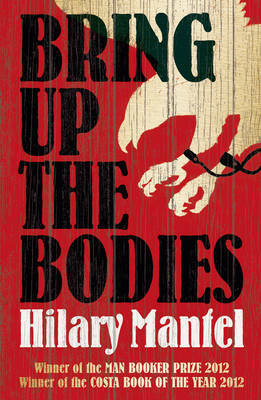 I’ve never really had an urge to read George Eliot but your review makes me want to get a copy of this. Maggie sounds like a brilliant heroine. I’ve never really had the urge to Eliot either. The other two I read were for uni so this is the first I’ve read on my own accord and I’m glad I did. For some reason, I just really had the craving to read this one. Maggie is right up there with Jane Eyre as my favourite heroines now. This sounds great. You’ve made me want to pick up a copy immediately. Thanks Dominique. I hope you’ll enjoy it as much as I did. Wow … what a gorgeous review. I think this novel is on my shelf — one of those things I always thought I “should” read. Now you’ve actually sparked my interest. Thanks Stephanie. Surprisingly, I had a bit of trouble getting a hold of this book. It’s a wonderful read. Like you, I approached this book with apprehension. I hated Silas Marner and Adam Bede, and thought this one would just be more of the same. How different it was. I loved, absolutely loved this one. Maggie was such a delight, and her relationship with her father was so wonderful. The scene you mention – the cutting off of the hair…it was one of my most favorite sections in the book. Hmm, I might have to rethink Adam Bede. Reading this has made me in the mood for some more Eliot. Maggie is such a gorgeous character, isn’t she? I felt so sorry for her later though. Have you ever read Payback by Margaret Atwood? I read The Mill on the Floss last year (there’s a review on my blog), and I read it because I read the aforementione Atwood book and it has some really fascinating discussion of The Mill on the Floss, and the theme of debt that runs throughout. If you like book I recommend Payback to you. Nice Summary but I am very upset of not getting the book to write the summary on my own. I hate taking summaries of other persons but still…………… Thanks. I really, really hated the ending. The novel was a difficult read for me, it took me three months to get through the whole book. The beginning was beautiful, as mentioned, Maggie’s relationship with her father was quite untypical and moving. The ending was like a kick in the unmentionable. I immediately dropped the book and went with Emma by Jane Austen for my school project. It took me 3 days to finish Emma. Sorry for the bad review.